Having bought a brand new black car I was very aware of using the least amount of contact whilst cleaning it. 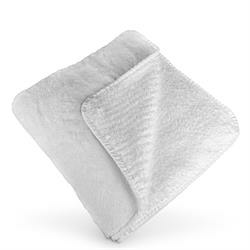 All the reviews wowed about the mega absorbency so the Supernatural Drying Towel was an easy choice. However, it is massive and when wet it gets heavy and drags. I wish there was a mini version. All being said it is a distinct improvement over the (excellent) regular Dodo Juice drying towel. This is truly the best drying towel I have ever used. The wetter it gets the better it performs. And it stays soft, even after several machine washes. You really no longer need a chamois or water blade, therefore less chance of fine scratches on paint work. Great. The Best Drying Towel Ever Made!! I wanted a drying towel so I asked on some very well known forums for detailing what to use, and I can tell you that out of every reply I got there was not one person who didn't say the words "Supernatural Drying Towel". So I took the plunge and purchased one and now I have three for the company. It is the best drying towel ever produced, I dried two Range Rover Sports one after the other and it was still holding water! I have many times gone to clean 3 or 4 cars and only taken one towel, truly amazing. I dropped it in a puddle outside my house and it soaked up the puddle!! I can't stress how you will hate chamois products, water blades and other drying towels when you try one of these. You will never go back!